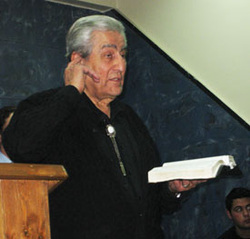 In this teaching Dr. Malki talks about what it means to be baptized in the Holy Spirit. This message is in two parts. This 40 minute message is about being lead by God; being humble enough to follow God's leading and His plan for your life. Dr. Malki gives a tremendous message on this subject. This 60 minute message is about the plan God has for your life. Dr. Malki shares part of his testimony about the plan God had for his life and uses that to illustrate that God has a plan for everyone's life. Each segment is 14 to 15 minutes long. Please click on the following links to listen. In this message Dr. Malki speaks on how we can do the same works that Jesus did.